Gary Powell from UCT’s Schools Development Unit visited Sophakama Primary School recently. This continues the process, started in 2018, towards our strategic initiative of providing curriculum support to all educators. Gary recommended English and Maths courses: 1 per term – 6 hours per course. These courses can be presented during the week after school or over a weekend. UCT certificates will be provided to those who complete the course/s. Sophakama educators were excited about the opportunities and asked numerous questions about the courses and what would be expected. 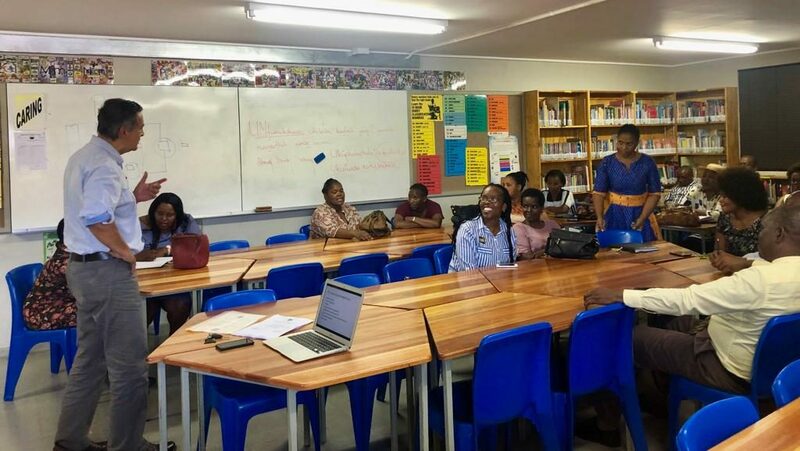 The school would need to assess interest among educators to attend courses; analyse systemic results with input from UCT and then streamline courses based on the analysis of the systemic results. This will assist with ensuring that courses address the areas where educators feel support is required. We look forward to being part of the awesome process of supporting educators and developing skills at Sophakama! ← Thursdays are good for reading too!